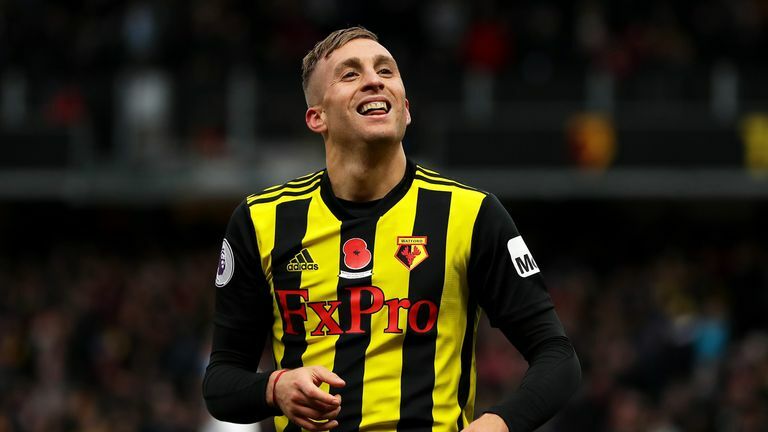 Gerard Deulofeu says he is proud to have signed for a Watford side who are impressing in the Premier League after rejecting a number of offers in the summer. The winger sealed a £11.5m move from Barcelona in July, having featured for Watford on loan last season. Deulofeu was injured at the beginning of the campaign, but has since returned to start their last three Premier League matches. The club are currently eighth in the table after six wins from 11 games, and Deulofeu says their impressive start confirmed that his best option in the summer was to make the move permanent. "I had some doubts in the summer, but it's normal because I had some other offers. I chose Watford because it is the best option," he told Sky Sports News. "I love the Premier League, I've been here on loan and feel comfortable. I feel really good with my team-mates. Now I am proud of signing here. "When I signed I felt we could have a great season, it has started well so I am happy to be here. "I want to play a regular season and play minutes, enjoying with my team. Sometimes you are in a big team and you didn't enjoy it like you can enjoy it here, that's why I'm here. "I don't want to think in the future. First, this season, and after we will see." Watford lost at Newcastle on Saturday despite dominating for large periods of the game at St James' Park, proving wasteful as 16 attempts on goal resulted in just one on target. However, Deulofeu said Watford will not be deterred by the defeat as they head to struggling Southampton this Saturday. He added: "We lost against Newcastle but I prefer to lose like we lost, because we played really well in the first half and created chances to kill the game. "But we didn't. In the Premier League, you have to kill the game, it's tough, more away and that happened in the last game. "We know that's the way, how we have to play, so in Southampton we will play like the first half in Newcastle."